Jerome Powell may seem to be assuming the Fed chairmanship at a time of increasing prosperity and renewed respect for the Fed. However, the prosperity is an illusion built on a series of Fed-created bubbles. Will an audit of the FED, ordered by President Trump end the corrupt Federal Reserve forever? Joe Rogan and Jordan Peterson sit down and discuss the cultural phenomenon that is occurring and how the radical far left have infected our Universities almost entirely. They are indoctrinating our youth and attempting to subvert humanity. They must be stopped and they will be stopped. People are standing up to their radical beliefs and saying enough is enough. The time for change is now. The evidence is everywhere everyday, and it was on vivid display Tuesday night. 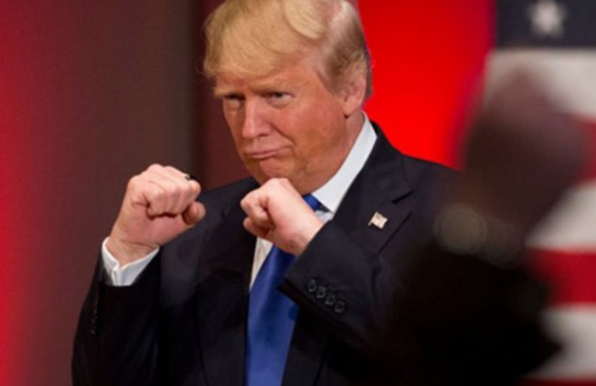 The president remains in a fighting mood, determined to keep punching his way forward. The Trump way starts with the passage of the historic tax cuts despite tiny Republican majorities in congress and scare tactics from the left. Before passage, polls showed the public was strongly opposed — but Trump pulled, pushed and bullied his party over the finish line. The roaring results, with millions of workers already getting bonuses, pension boosts and pay hikes, vindicate his determination. Another piece of evidence is that the government shutdown over the “dreamers” was a huge defeat for Democrats, and Trump piled on the pain with a blistering ad about crimes by illegal immigrants that helped force divided Dems back to work. The decision by the House intelligence panel to write and release its memo on possible FBI misdeeds is yet more evidence of a new fighting spirit. Even Speaker Paul Ryan, averse to conflict by temperament and training, forcefully supported the memo’s release, saying it was time to “cleanse” the FBI. This is not George Bush’s or John Boehner’s Republican Party. This is Trump’s GOP, as he demonstrated in spades in his first formal State of the Union address. For days, the White House advertised his speech as one where a kinder, gentler Trump would reach across the aisle and invite opponents to work with him on bipartisan programs to fix our broken immigration system and our crumbling infrastructure. After all, that’s what Republicans usually do — soften their tone and, badgered by a liberal Washington press corps, give in to big government ideas. While Trump did indeed deliver on those promises, it was just barely. Those offers were exceptions in an otherwise damn-the Democrats, full-speed ahead performance. If this was Trump reaching out his hand, he was doing it from a position of strength and supreme confidence. If there is to be compromise, Dems will have pay dearly for it. The tough tone, leavened only by the moving stories of first responders, military heroes and other noteworthy guests seated near the First Lady, suggests that Trump is sticking with what got him to the dance in the first place. He will continue to be who he is. The idea that he should be someone else has been a constant refrain from the day he entered the race in 2015. Occasionally he has, but only temporarily, and if last night means anything, it’s that he sees no reason to make radical changes now. On one hand, that approach is a high-risk gamble. Trump is putting all his chips, and his party’s, on the belief that his accomplishments will win over enough voters so the GOP can keep both houses of congress. Indeed, some polls are already reflecting movement in his direction. A Fox News poll this week shows his approval rating climbing to 45 percent, and his disapproval at 53, although other polls still show him with approval under 40 percent. The risk is that if he’s wrong, and the midterms are a referendum on him instead of his policies, then the House could flip to Democrats, many of whom want to draw up impeachment articles on Day One. And with special counsel Robert Mueller still on the prowl, the risk is multiplied. Yet, in truth, America also saw evidence last night that Trump’s bet may be his best chance. The Dems who came to hear the president looked like the unhappiest people on Earth. They rarely stood and applauded, except when it would have been embarrassing not to. Even when the president touted the lowest African-American unemployment in history, the party that produced the first black president and has on the lock on the black vote gave a collective scowl. The party is still stuck in resistance mode, with congressional members following the radical left like so many lemmings. Against that backdrop, Trump has nobody on the other side to ­negotiate with. For now at least, full speed ahead is both his best and only option. Trump storms Davos like a BOSS, New Q drops confirm Q is for real, and Hillary Clinton and the rest of the globalist puppets are no longer laughing. Supporters of President Trump are becoming increasingly vocal about his upcoming, possible interview with Mueller. Should he meet with him, or should he avoid it like the plague? With what we have seen recently in the ongoing Russiagate witch hunt, perhaps the far left are simply attempting to set a trap? It is being reported that the Democratic party is entering into a full blown panic mode, upon hearing the news that the FISA memo will indeed be released to the America public, exposing the Obama administrations blatant abuse of power, during the 2016 election cycle. The level of corruption is apparently so deep and vast, that it is being reported that it will make Watergate look like a drop in the bucket. Heads are already starting to roll and more are yet to come. As can be seen from the above video, Nancy Pelosi is visibly shaken and worried. The greatest routing in political history is about to unfold. Sara Carter: Shocked him to his core, and not only that, the Inspector General's report - I have been told tonight by a number of sources, there's indicators right now that McCabe may have asked FBI agents to actually change their 302's - those are their interviews with witnesses. So basically every time an FBI agent interviews a witness, they have to go back and file a report. Carter said that McCabe "quitting" is just the beginning, and that more resignations will be coming. It was expected that McCabe would hang on until early March, when he would become eligible for his full pension. It's unclear why he's choosing to step down early. President Trump and his party just made a move, not only a move, but a monumental, history changing power move. For the past couple of weeks, if you have been paying attention to the news, you will know that the #ReleaseTheMemo campaign has been under full swing and gaining momentum. Unsurprisingly, this "rallying cry" as it is being dubbed, has been led by vocal members of the right wing community, who have been pushing for the House Intelligence Committee to release the controversial memo to the public. The Democrats during this time period have been pushing back heavily against this movement, claiming that it could threaten sources and National security. While members within the Republican Congress, who have witnessed the full contents of the memo have been very vocal about the level of corruption it contains. Regardless of who is right and who is wrong, we are about to find out the truth. The House Intelligence committee has taken a vote and decided in favor of releasing the memo, much to the relief of those who have been pushing for the truth on this matter. In addition to this, he went at length, explaining why he believes that this memo, which apparently exposes high levels of surveillance abuse and corruption by members within the FBI and other government institutions is a bad idea. For those who simply want the truth released and for the corruption to be exposed, they were overjoyed and exhilarated by the news, as could be seen on Twitter and various other social media networks shortly after the news was learned. Meanwhile, conspiracy theories of what exactly this memo contains are still running amuck and out of control, as people speculate as to what it contains. What we do know, is that we are looking at a roller coaster of week in the news cycle, both financially and politically, as it is being reported that what this memo contains is going to radically shake the foundation of the FBI department and result in numerous firings and possibly even criminal charges. Already, the first victim has been claimed, with FBI Deputy Director Andrew McCabe being "removed" from his position, after FBI Director Wray was made aware of the memo's contents, foreshadowing what is to come. This is going to send the markets gyrating, as it seeks to adjust to this news and figure out what the full ramifications of this news is going to have on the United States government as a whole. Ultimately, I believe in the short term, we are going to see intense finger pointing, numerous heads rolling and a public outcry from members of the MSM as they attempt to spin this story to fit their agendas. In the end, when the dust settles, I believe the markets are going to respond favorably, for at the end of the day, this is going to result as a huge win for President Trump and his party, cementing their position and vindicating them on many levels. Adding increased security and stability in the current administration and thus the markets as a whole. Still, this is far from over and is just getting started. Strap yourselves in, put on your helmet and get ready for a bumpy ride, this is going to be a rough one. The left has become such a menace that it would no longer be honest to not see the perception past the reality of the false left right dichotomy. As such, I have to admit the left is objectively (within a subjective framework, funnily) worse than even the most fanatic right wing movements extant in the Western world. I am very comfortable with being ahead of the curve. I am actually quite used to going out on a limb and calling market movements before they occur, before it is deemed acceptable, or considered the "norm". This is what contrarian investors do, and I am proud to wear this title. Anyone else who falls into this minority of investors will know exactly what I am talking about, we are comfortable with not having everyone agree with our every assessment and quite uncomfortable when everyone in the room does. This is exactly how I was recently able to call the historic crashes we just witnessed within the cryptocurrency markets, weeks before they occurred, and it is exactly why I was able to call its historic rise over six years ago. In addition to this, my contrarian intuition has served me well throughout the years, allowing me to call silvers massive move higher in its last parabolic bull run, as well as its inevitable top, missing the mark by only $2.00. Recently, I have taken another contrarian position, one in which I believe is going to fully play out over the next two years, the resurgence of the precious metals markets and commodities as a whole. This industry has been beaten, battered and bruised, investors in the space have almost entirely capitulated and have grown even more cynical then they already were, which is saying a lot, considering your average precious metals bug (myself included). We have been treading water for years, just barely keeping our heads above as the cartels beat us back time and time again, suppressing both the price of gold and silver each and every time they look like they are going to surge higher. No more. This year is going to mark a turnaround and a resumption of the bull market in precious metals, funds flowing out of the cryptocurrency markets are already being reported to be flowing into the precious metals space, and other key assets, a predication that I also made in the latter part of last year, before the crash occurred and one that is now playing out. We are not going to see 100% gains this year, so don't get too excited yet. However, 10-15% gains within the physical markets are well within reason, followed by a much stronger performance throughout 2019 as this bull market gains steam. This is going to lead to massive gains in the mining sector, which have also suffered horribly throughout this down trend. I believe that this is where the most profits will be made, in the short to medium term, with many companies making strong gains through 2018 and 2019. Still, these are just the humble predication of a lonely contrarian investor, and fortunately, I'm quite happy if no one agrees. In the meantime, I'll keep stacking, enjoying these artificially suppressed prices. President Trump once again demonstrates his ability to out negotiate his opponents. Just days ago Schumer stated that the wall was off the table and no funding would be allotted. Fortunately, President Trump holds the majority of the bargaining chips in these talks and out maneuvered his opponents once again. Simply put, if the Democrats don't cave on funding for the wall, then DACA is off the table, entirely. A win, win for Trump and his supporters. Sources, as in Lisa Page - who Barrett was just (or still) on the phone with. 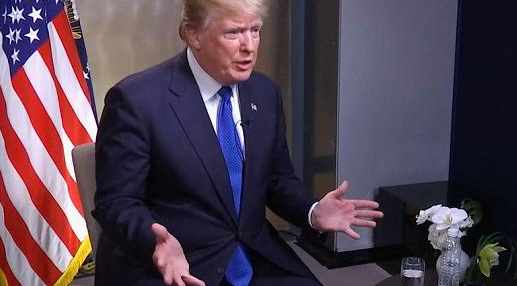 President Donald Trump told CNBC on Thursday the dollar will strengthen over time under his leadership and that recent remarks made by Treasury Secretary Steven Mnuchin about the greenback were misinterpreted. "The dollar is going to get stronger and stronger, and ultimately I want to see a strong dollar," Trump said in an exclusive interview from the World Economic Forum in Davos, Switzerland. "Our country is becoming so economically strong again and strong in other ways, too." Trump's latest remarks about the dollar diverge from his past comments. Last April, Trump said he was worried the dollar was "getting too strong." At the WEF on Wednesday, Mnuchin said he welcomed a weaker U.S. dollar, adding that it would benefit the country's trade. On Thursday, Mnuchin said the comment was not a "shift in my position on the dollar at all. It is perhaps slightly different than previous Treasury secretaries who in recent times have just commented on the strong dollar." Trump said Mnuchin's comments "were taken out of context," adding he "read his exact statement." Mnuchin's earlier remarks kicked off a 2 percent decline in the dollar index, which tracks the U.S. currency's performance against six other currencies. Newly released text messages between FBI officials Peter Strzok and Lisa Page reveal that the agency's top brass was considering appointing former U.S. Attorney Patrick Fitzgerald as a special counsel in the Hillary Clinton email investigation. The idea is pitched in a March, 2016 exchange between Strzok and Page - relatively early on in their investigation into Hillary Clinton's mishandling of classified information. Of note, Attorney General Loretta Lynch or one of her deputies would have had to make the ultimate decision to appoint a special prosecutor to look into the "matter." "Thought of the perfect person [FBI Director James Comey] can bounce this off of?" Strzok wrote to Page in a March 18, 2016 text. "Pat....You got to give me credit if we go with him....And delay briefing him on until I can get back and do it, Late next week or later." "We talked about him last night, not for this, but how great he is," Page responded. "I could work with him again....And damn we'd get sh*t DONE," Strzok wrote. Strzok noted that Fitzgerald was brought in by Comey as a special counsel in the investigation into who leaked the identity of CIA agent Valerie Plame. Appointed in 2001 by President George W. Bush, Fitzgerald was the longest-serving U.S. Attorney in Chicago history - and has led several high profile federal investigations and prosecutions. In a follow-up text exchange on May 13, 2016, Page asks Strzok "Hey forgot to ask if you mentioned the whole special counsel thing to andy?" (referring to current Deputy FBI Director Andrew McCabe). No special prosecutor was selected for the Clinton email investigation despite calls by Republicans to do so as early as February, 2016. Instead, former FBI Director James Comey had originally determined Clinton's conduct fit the legally consequential charge of "gross negligence" which Peter Strzok later downgraded to "extremely careless" - which is not a legal term of art. The agency ultimately recommended that the Department of Justice not press charges. In a Thursday letter to FBI Director Christopher Wray, Senate Judiciary Committee Chairman Chuck Grassley asked if whether the FBI had approached the DOJ to appoint a special counsel. "If not, why not?" wrote Grassley, who also demanded all written communications on the subject. The newly released batch of text messages also reveal that the pair of anti-Trump FBI agents were concerned over reprisal from Hillary Clinton, should they aggressively pursue her. "One more thing: she might be our next president," Page wrote, adding "The last thing you need us going in there loaded for bear. You think she's going to remember or care that it was more doj than fbi?" The Department of Justice has recovered missing text messages between anti-Trump FBI officials Peter Strzok and Lisa Page, the DOJ’s inspector general said Thursday. Fox News’ Sean Hannity had reported Wednesday that the Department of Justice had started to recover some of the texts. The missing messages have been at the center of a storm of controversy on Capitol Hill, after the DOJ notified congressional committees that there is a gap in records between Dec. 14, 2016, and May 17, 2017. 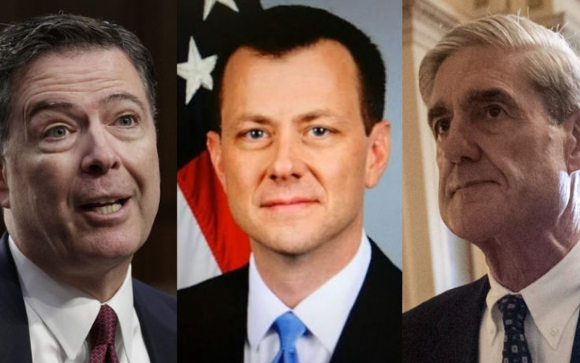 Strzok and Page are under scrutiny after it was revealed that the former members of Robert Mueller's team exchanged a series of anti-Trump texts during the presidential campaign. The gap in records covered a crucial period, raising suspicion among GOP lawmakers about how those messages disappeared. More than 50,000 texts were exchanged between Strzok and Page, Attorney General Jeff Sessions revealed Monday. Sessions had pledged to figure out how some of their texts went missing. Federal law enforcement officials told Fox News on Wednesday that thousands of FBI cellphones were affected by the technical glitch that apparently prevented those Strzok and Page messages from being stored or uploaded into the bureau’s archive system. Horowitz sent his letter confirming the discovery of texts to Senate Homeland Security Committee Chairman Ron Johnson, R-Wis., and Senate Judiciary Committee Chairman Chuck Grassley, R-Iowa, who had inquired about the messages. The five-month stretch of missing messages covers a period of time that includes President Donald Trump's inauguration, the firings of National Security Adviser Michael Flynn and FBI Director James Comey and the standing-up of former FBI Director Mueller as special counsel to investigate alleged Trump campaign collusion with Russian officials during the 2016 election. FBI Agents Baffled: Why Do These Anti-Trump, Clinton Operatives Still Have Jobs? The recently revealed text messages from Clinton operatives within the FBI that spoke about a “secret society” within the agency that met to discuss ways to take out President Trump have led many to question how those involved still have a job at the agency despite the mounting evidence of widespread corruption. Keep in mind that it has already been revealed that top counterintelligence agent Peter Strzok, along with his mistress, FBI lawyer Lisa Page, were directly involved in a conspiracy to protect their preferred presidential candidate in Hillary Clinton while doing everything in their power to hurt her opponent, Donald Trump. Now we know that those two, along with a slew of others within the federal government, actually continued their operation against Trump after he was democratically elected, even taking their conspiracy so far as to set up a sort of secret society which included the same key figures who helped jump start the sham Russian investigation in the first place. Amazingly, there are apparently agents with the FBI itself who are just as angry about said conspiracy as are the American people and are now telling reporters that they are concerned that those involved still work for the FBI in any capacity. According to a report from investigative journalist Sara Carter, agents within the FBI have told her that they question how anti-Trump operatives such as Strzok and Page even still have a job after all the shocking revelations surrounding their work to protect Clinton and hurt Trump. Carter pointed out that previously revealed Strzok-Page texts alluded to an “insurance policy” that could be used if Trump won the presidency. One has to wonder if they simply know too much and cannot be fully fired over fears that they may spill the beans on the entire conspiracy which many now believe to be worse than Watergate. Carter also touched on the laughable claim that the missing text messages (from a key point when those involved would actually be carrying out key parts of the conspiracy) were lost due to some sort of cellphone glitch. About the FBI’s claim that the Samsung phones are responsible for the 50,000 additional missing text messages, Carter says: "I can tell you this, a lot of people within the DOJ, possibly even the inspector general himself, a lot of people within these committees do not buy this." The dying, lying, lame stream media continues to expose themselves as the farce they are. Styhexxenhammer breaks down the recent news surrounding the "release the memo" movement and how damning it is for the left. Of course, it is all Russia's fault according to the MSM, how convenient. The evidence continues to pile up against the deep state in the brewing FBI scandal. While the mainstream media assure the public through propaganda that there is no such thing as a “deep state,” the evidence shows otherwise. According to The New York Post, each day brings credible reports suggesting there is a massive ongoing scandal involving the top ranks of America’s premier law enforcement agency: the FBI. The reports, which feature talk among agents of a “secret society” and suddenly missing text messages, point to the existence both of a cabal dedicated to defeating Donald Trump in 2016 and of a plan to let Hillary Clinton skate free in the classified email probe. If either one is true, and we believe both probably are, it would mean FBI leaders betrayed the nation by abusing their powers in a bid to pick the president. During an appearance on CNN, counterterrorism analyst and former CIA agent Philip Mudd said on air that “the government’s gonna kill” Donald Trump because he disrespected the deep state. Separately, an FBI informant told Congress that a secret society within the FBI, which met the day after Trump’s election to plot his downfall, went on to hold clandestine meetings off-site. “That secret society — we have an informant that’s talking about a group that were holding secret meetings off-site,” Senator Ron Johnson (R-Wisc.) told Fox News last night. “There is so much smoke here. We have to dig into it — this is not a distraction. Again, this is bias — potentially corruption — at the highest levels of the FBI,” Johnson added. These major and intertwined scandals all point to the one thing the media is dead set on indoctrinating into the minds of the public as fake: the deep state. There’s too much evidence to deny it, yet the media writes it off as a conspiracy or fake news and demeans those who seek answers to the questions they refuse to even ask. But how do they explain the missing text messages and the “secret society” comments between two top-ranking FBI officials? Very poorly, but the masses don’t seem to care that much and won’t even consider the fact that maybe the media and their own government fooled them. “You fight back, oh, it’s obstruction,” Trump mockingly told reporters. Trump also told reporters that he plans to speak with special counsel Robert Mueller in two to three weeks, but said his lawyers are working out the specifics. A bombshell four-page "FISA memo" alleging egregious surveillance abuse by the FBI, DOJ and Obama administration, specifically names FBI Deputy Director Andrew McCabe, former FBI Director James Comey and Deputy Attorney General Rod Rosenstein, according to the Daily Beast. The GOP-authored memo made waves last week after it was made available to the full House of Representatives for viewing. With over 60 GOP lawmakers calling for its release, Capitol Hill sources on both sides of the aisle tell The Daily Beast that it's only a matter of time before the general public is allowed to view the document - which is likely to stoke already-inflamed tensions between GOP lawmakers and the individuals named in the leak. 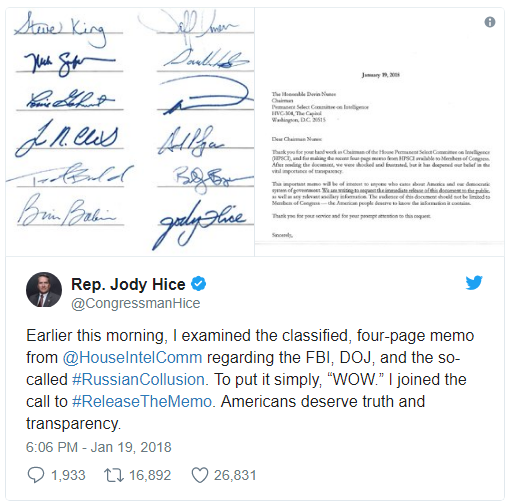 The facts contained in the Republican majority-authored report are said to be "jaw-dropping and demand full transparency," according to Rep. Matt Gaetz (R-FL), while the top ranking Democrat on the House Intel Committee, Adam Schiff (D-CA) dismissed the memo as "profoundly misleading" talking points drafted by Republican staffers. Several other GOP Congressmembers have weighed in. "I have read the memo," tweeted Rep. Steve King (R-IA), adding "The sickening reality has set in. I no longer hold out hope there is an innocent explanation for the information the public has seen. I have long said it is worse than Watergate. It was #neverTrump & #alwaysHillary. #releasethememo." Along with the four-page memo, Congressional investigators learned from a new batch of text messages between anti-Trump FBI investigators that several individuals within the Department of Justice and the FBI may have come together in the "immediate aftermath" of the 2016 election to undermine President Trump, according to Rep. John Ratcliffe (R-TX) who has reviewed the texts. This is particularly interesting since the memo allegedly names Deputy Attorney General Rod Rosenstein - who created Robert Mueller's special counsel after former FBI Director James Comey was fired. While the "secret society" reference may have been in jest ("Are you even going to give out your calendars? Seems kind of depressing. Maybe it should just be the first meeting of the secret society," Page wrote to Strzok), a whistleblower has allegedly confirmed the existence of clandestine, of high ranking U.S. intelligence officials which met "offsite" to conspire against a sitting President, according to Sen. Ron Johnson (R-WI). Just hours after we reported that according to the latest batch of text messages between anti-Trump FBI investigators, a "secret society of folks" within the DOJ and the FBI may have come together in the "immediate aftermath" of the 2016 election to undermine President Trump, another blockbuster text message appears to have emerged. Wisconsin Sen. Ron Johnson, the chairman of the Senate Homeland Security and Governmental Affairs Committee, said in a radio interview that the FBI’s top agent on the Trump-Russia investigation, Peter Strzok, sent what Johnson called a "jaw-dropping" text message last year that suggests he saw no evidence of Trump campaign collusion. As first reported by the Daily Caller's Chuck Ross, in an interview with WISN-Milwaukee radio host Jay Weber, Johnson read aloud a May 19, 2017 text that Strzok sent to Lisa Page, an FBI lawyer and his mistress. 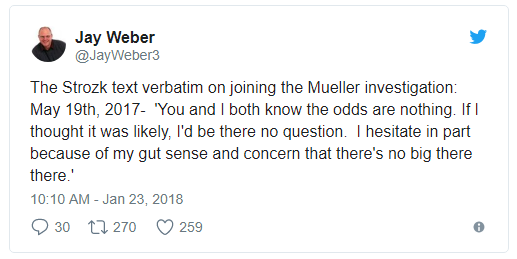 As Weber summarized, "Sen Ron Johnson tells me he's discovered a text from Peter Strzok 2 days after the Mueller investigation in which he questions whether he wants to be part of it because he believes 'there's nothing there'. No collusion." "You and I both know the odds are nothing. If I thought it was likely, I’d be there no question. I hesitate in part because of my gut sense and concern that there’s no big there there." Johnson said that the text referred to the Mueller investigation, which had kicked off two days earlier. Strzok joined that team, but was removed in July after the Justice Department’s inspector general discovered his anti-Trump text exchanges with Page. As the FBI’s deputy counterintelligence chief, Strzok had been picked in July 2016 to oversee the investigation into possible Trump campaign collusion with the Russian government; in other words the text message came almost one year after the anti-Trump FBI agent had already done preliminary work on whether there was any Trump collusion. Prior to that, he was a top investigator on the Clinton email inquiry. “I think that’s kind of jaw-dropping,” said Johnson, a Republican, said of the Strzok text. The #ReleaseTheMemo Movement Continues: "Worse than Watergate"
The Democrats and the far left are in serious trouble. Rogue agents within the FBI have been caught red handed committing treason. Now, is the time to keep the pressure on and demand that this memo be released. Corruption and deceit need to be exposed. The very people that have been attacking Donald Trump are now feeling the Trump counter attack. Former top CIA officer Kevin Shipp says, “They are terrified, they are terrified right now. They did not expect Trump to do what he is doing now. The reason they tried to get him even before he was elected is they knew he was uncontrollable, and they knew if he got in there, they would not be able to manipulate him, and that is exactly what’s happening. There are some people, and there is no doubt about it, that are running scared right now. Bitcoin and all other cryptocurrencies were enjoying a much needed rally over the past couple of days, confidence was building once again and things were appearing to get back on track, the resumption of the bull market was back on! That is, until government officials and central banksters had their say. This is something that I and many others have been stating for years. The larger and more successful that cryptocurrencies become, the more of a threat they are to the establishment. The financial elite derives the vast majority of their power from their ability to endlessly print fiat money out of thin air. This power is undeniably vast and therefore it comes as no surprise to me that the eye of "Sauron" is now being turned on crypto's. This is a space that they have been watching skeptically for some years now, the FED has kept a watchful eye and so too have others. This watchful eye has turned to jawboning, a common tactic used by central banksters the world over. They love this strategy, as it requires getting no "blood on their hands". Simply speaking positively, or in this cause negative about a market can send them either soaring or plummeting. This strategy has been witnessed countless times before, when they discuss gold, the markets, or interest rates. It just so happens they are now turning their sights on the hottest market that any of us have seen in our lifetimes, crypto's. One of crypto's greatest assets is the fact that they are not controlled by any one government and are largely unregulated and de-centralized. This has caused all kinds of legitimate, dark and grey money to flow into this space. This has made countless millionaires out of small time investors over the past year, many of whom are likely attempting to dodge the tax man in any way that they can. 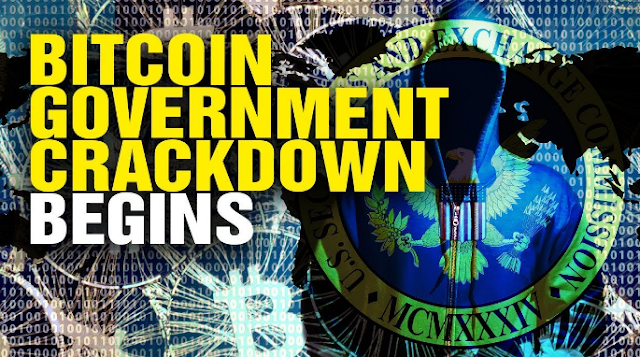 Now, Bitcoin and other crypto's have suffered another major setback, falling 20% overnight due to continued crackdowns from China and increased hostility by South Korea, both of which make up an incredibly large portion of the global market for cryptocurrencies. South Korea's finance minister Kim Dong-Yeon even went as far as to state that a "cryptocurrency exchange shutdown is still an option." An action that is already having dire consequences for the markets, even though it has not yet played out in actuality. Central bankers the world over are now stuck in-between a rock and a hard place. Do they A) regulate and clamp down on cryptocurrencies, sending it once again into the black market, where many will continue to be traded, albeit at short-term lower prices. Or do they B) allow cryptocurrencies to be embraced on the open markets, attempting to tax and regulate as much as possible? Risking the possibility of them overtaking their fiat money due to Gresham's law. My guess is the following. Some countries will fully embrace the crypto space, hoping to become central hubs of trading in the market, similar to how Wall St and London are for the broader markets. While other countries, fearing the worst will continue from this point on to ratchet up their rhetoric against both Bitcoin and every other alt-coin. However, there is a third scenario. The last being the most sinister and frightening. C) Central banks, seeing the value in this purely digital currency will issue their own Frankenstein cryptocurrencies, while at the same time clamp down on the existing market. Moving to a purely digital based fiat money world, one of their greatest dreams. The latter of these three scenarios is truly the most scary, as this timeline must be resisted at all cost. The power and control that this would offer a government would be truly absolute. Abuse would be rampant and unjust, in essence, they would own you through their ability to control your flow of money, whenever and however they wish. Regardless of what unfolds from this point on, 2018 is shaping up to be a roller coaster of a ride for not only cryptocurrencies, but for gold, silver and the markets as a whole. We are now smack dab in the middle of a once in a lifetime revolutionary change in how markets function and operate. Strap yourselves in, this is going to be a bumpy one. Who Killed Martin Luther King and Why? Dr. Martin Luther King's stance against the Vietnam War led him to be shunned by much of the liberal establishment that applauded his work on civil rights in the US. Was challenging the US warfare state the third rail that cost MLK his life? China's Attack On The Dollar and What Does It Mean? China has been accumulating gold for years, and are now taking steps to tie it to yuan. Interest rates in the U.S. are rising, and the Chinese are not so eager to keep piling up on U.S. dollars and U.S. Treasury debt. Ron Paul discusses on The Liberty Report! Today, Project Veritas, who are known for their multiple bombshell reports via their undercover investigations into government agencies and the mainstream media, have once again delivered in spades. After recently targeting mainstream media outlets such as CNN and the Washington Post and exposing them for their left leaning bias and anti Trump rhetoric (something well known to all, but still shocking to hear from the horses mouth), they have released another massive video and this time the victim is game changing. Twitter. For the past year, those who have taken part in the "conversation" on this social media platform will be well aware of exactly what James O'Keefe is discussing in the above video, in which his undercover video clearly shows Twitter employees explaining a process known as "shadow banning". Imagine yourself in a room with hundreds of other people, possibly even thousands to tens of thousands. Now, in this room you have the ability to move around and talk to people, to listen to others voices and opinions, perhaps you agree with them, perhaps not. Predominately in this room, as is the case with twitter, you are discussing news events, whether they be political or not, is your choice, but in this scenario, lets say that in this room the topic of conversation is just that, politics. Undoubtedly, as is the case with anything in life, arguments within this room are going to erupt, they are going to get heated and not everyone is going to agree with everyone else. This is ok, this is normal, as this is the way throughout much of human history that we have progressed and made progress, eventually finding middle ground with one another. This is the adult thing to do, and is normal, perhaps even necessary in a functioning society. Now imagine within this room, their are puppet masters that reside above all others. These puppet masters in Twitters case have an incredibly left leaning bias, which is ok, and not wrong in and of itself. What is wrong however is that these puppet masters have the ability to control the flow and course of information by placing a box over those whom they don't agree with, in this case, anyone who is gaining traction, or speaking out too loudly on the right. If you happen to be placed in one of these boxes, of which I have been many times before in the past, as I regularly do gain traction now with over 15,000 twitter followers, you can still see everyone in the room. In addition to this, you can still hear, you can still speak, but no one can hear you. Worst of all, you don't know that you are placed within this box, as you receive no warning and no indication other than the fact that your tweets all of sudden lose total traction, where as minutes before they were moving at rapid fire speed, being re-tweeted and liked at a feverish pace. Eventually, this box will be removed and you can move about your business, as per normal. Until once again you dare step out of line and engage in "wrong think". Many of us within the precious metals space can relate to this report by Project Veritas and I for one am well aware of this ongoing attack on free speech. The MSM has also attempted to silence and control opinions they do not agree with in the past, by reporting on key facts and omitting others, an action known as lying through omission. Twitter, Google and Facebook are just the new age versions of the MSM. They have almost absolute control over what does and what does not appear on their platforms. They are using this control to guide people towards the path they see fit. Unfortunately for them, because of people like James O'Keefe and others, light is being shined on their corruption and people are revolting. 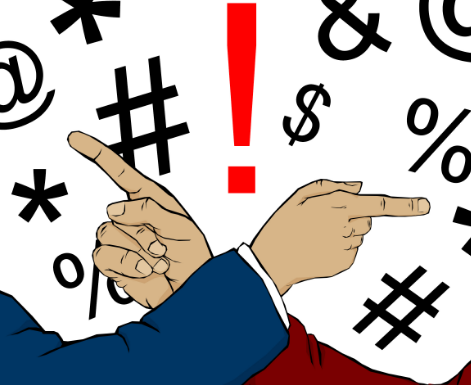 This has led to a number of free speech platforms, such as Gab.ai and Minds.com, both who have become incredibly popular for liberty lovers that reside on either the right or the left, simply due to the fact that they have made it their mission statements to take a "hands off" approach. As we have seen countless times in the past, the free market will only be controlled and regulated for so long and by so much. This is just one more example of how people are exerting their will and saying no more. 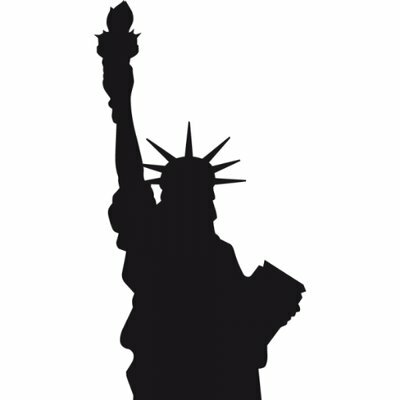 The liberty movement is alive and well. People are taking notice and they are saying, enough is enough, the time for change is now. The U.S. Dollar is not ruling the seas of global commerce anymore. In 2018, non-Dollar platforms will continue the Dollar’s decline, Dr. Jim Willie tells Silver Doctors. The Dollar has been the world reserve currency for decades, but the increase of non-Dollar trade is threatening the Dollar’s dominance. Gold is up 11 days straight. Gold Anti-Trust Action Committee Chairman Bill Murphy says as excitement in the gold space increases, the Gold Cartel may lose control of the price! Murphy explains the Gold Cartel manages the price by washing out the speculators. If gold breaks through $1,380 and silver through $21, the cartel may lose control. Murphy says, “If silver can break through the 21 area, it’s going to mean a total lack of this maniacal control this Gold Cartel is trying to keep on the silver market. And once they lose this control, I think we could see some upside action somewhat similar to what we saw in the cryptocurrencies.” Some of the mining stocks as well could have returns similar to the cryptocurrencies, Murphy says. With gold up 11 days straight, Murphy sees the potential for a short term correction. But stay tuned for cryptocurrency style upsides he says. Obamacare On Its Last Legs? Lets Hope So! Obamacare is a crony-politically-connected program that has punished Americans who need the exact opposite. Government must GET OUT of the healthcare industry. Ron Paul discusses on today's Liberty Report! Ron Paul: Has Unlimited QE Done Anything to Help the Economy? The Federal Reserve has once again created an artificial and unsustainable economic bubble. Central planning still doesn't work, and the sooner we move to sound money the better. Ron Paul discusses the monumental mess that The Federal Reserve has wrought. Donald Trump was onto something when he said during the first presidential debate that “we’re in a big, fat ugly bubble.” Even if he ironically embraces the bubble now that he’s in the Oval Office. Why hasn’t the bubble popped yet? And how long can a rigged market stay rigged? Will the market keep moving higher? Correct? Or will it crash? And, should everyday investors play the game? You know the adage, “It takes money to make money.” That adage has been around for a long time. What’s relatively new, however, is collusion between various governments, central banks and private banks. They work in tandem to siphon off more power and money for themselves using law’s, power-brokering, and quid-pro-quos. As the Wall Street Journal has revealed, 60% of the market’s gains between 2008 and 2016 were generated on days when the Federal Reserve made its policy decisions. That’s dark money in action — together with collusion of central banks around the world. And according to research done by Brian Barnier of Value Bridge investors and the website FedDashboard, 93% of the stock market’s move since 2008 is explained by the Federal Reserve’s actions. 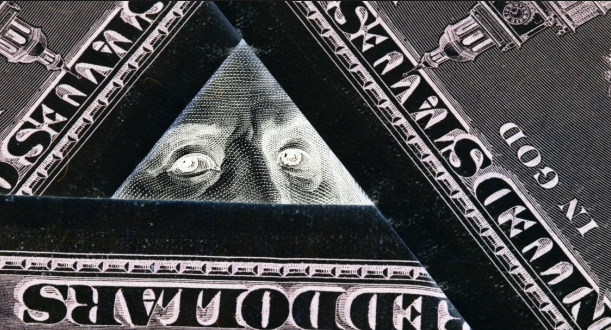 Since late 2007, the Federal Reserve has embarked on grand-scale collusion with other G-7 central banks to manufacture a massive amount of dark money. The scope and degree of this collusion are unprecedented. On July 31, 2017, Fischer delivered a speech in Rio de Janeiro, Brazil. He addressed the phenomenon of low interest rates worldwide. Fischer admitted that “the effects of quantitative easing in the United States and abroad” are suppressing rates. He also said there was “a heightened demand for safe assets affecting yields on advanced-economy government securities.” What he meant was that investors are realizing that low rates since 2008 haven’t been effective at fueling real growth, just asset bubbles. Remember, Fischer was the Fed’s No. 2 man. He was also a professor to former Fed Chair Ben Bernanke and current European Central Bank President Mario Draghi. Both have considered him to be a major influence in their economic outlook. The “Big Three” central banks — the Fed, the European Central Bank and the Bank of Japan — have collectively held rates at a zero percent average since the global financial crisis began. For nearly a decade, central banks have been batting about tens of trillions of dollars in dark money. They have dictated the cost of money and fueled bubbles. They have amassed assets on their books worth nearly $14 trillion. By producing and distributing artificial money, central bankers distorted reality in global markets. Since the global financial crisis, the big winners have been the big six U.S. banks that profited from access to dark money. They used printed money to fund buybacks of their own shares and pay themselves dividends on those shares. After the Big Six banks passed their latest round of stress tests, they began buying even more of their own shares back. The move elevated their stock prices. The largest U.S. bank, JP Morgan Chase, announced its most ambitious program to buy back its own shares since the 2008 crisis, $19.4 billion worth. Citigroup announced its biggest buyback, $15.6 billion. More ominous than that was a clear sign that decades of money-conjuring collusion had helped the same banks that caused the last crisis. Proof came in the form of a letter to the U.S. Senate banking committee from Thomas Hoenig, the vice-chairman of the U.S. Federal Deposit Insurance Corp. (FDIC), the government agency in charge of guaranteeing people’s deposits. He wrote that in 2017, U.S. banks used 99% of their net earnings toward purchases of their own stock and paying dividends to shareholders (including themselves). They legally manipulated markets in plain sight by pushing their own share prices up with cheap money availed to them by the central banks that are supposed to regulate them. The amount of securities the G-3 central banks held on their books, about $14 trillion, was equivalent to a staggering 17% of all global GDP. Their efforts to provide dark money into the banking system are constantly peppered with cheerleading phrases like “unlimited” and “by all means necessary.” What they are really saying is that they are playing a game with no defined objectives. Starting with the Fed, central bankers have continued to build policy on the fly. The central bankers’ science experiment has spread beyond financial policy. It morphed into something even Dr. Frankenstein couldn’t have imagined. Confidence in the Fed and the U.S. dollar (as well as in other major central banks globally) has dropped considerably. Maybe that at least in part explains the explosive rise of bitcoin and other cryptocurrencies? Even central bankers have admitted that their dark money creation scheme was largely a bust, but not in any official statement. What she was signaling is that this era of collusion and reckless monetary experiments are far from over. When I left Wall Street shortly after 9/11, I blew the whistle on their shady practices. I felt as though my history at the highest level of these firms gave me a privileged position to help everyday Americans and Main Street understand how we’re being pillaged. I channeled my true passion, writing, to communicate what was happening. I believe those equipped with the right approach, tools and systems can even find opportunity in the world of dark money. The world runs on “dark money.” Don’t let the insiders have it all. The political climate within the United States is toxic. This cannot be denied and nor should it. The ramifications of what is unfolding will have long lasting effects, and to those who think they can simply stick their heads in the sand and forget about it all, you are simply kidding yourself. Normality will occur, this I do not doubt, but not before a great upheaval occurs. To many, the election of Donald Trump was that upheaval, as a massive trend was reversed and a new path set in motion. For better or worse, this is the path we are now on. America is moving in a direction that is seeing it focus more and more on itself, becoming ever more insular. To some that believe in globalism, this is a scary thought, to others it has been exactly what they have been waiting for. This climate has torn families apart, as lines in the sand have been drawn. I have heard countless stories about how their once peaceful family gatherings have taken a turn for the worse. Conversations have ceased between many, but why? Why is this all happening? Undeniably, Donald Trump is the most polarizing President we have seen in decades, or possibly even longer. He has made many enemies along the way, and he is going to make many more. But what you must understand, is that to his die hard, loyal supporters, this is ok. This is what is needed to get the job done. The time for the velvet glove treatment in their eyes is over. It's time to get down to work. Many stories are exaggerated and blown out of proportion, making matters appear much worse than they actually are. The dying, corrupt, dinosaur MSM is largely to blame for this. They are one of the biggest threats to society as a whole, as they continue to pump out click bait articles and headlines that pit people against each other. These stories are filled with half truths and lies by omission. Both sides are guilty of this, and are to blame, whether it be the horrendous CNN, or the laughable Fox News. Fortunately, these networks are dying as people continue to "wake up" and do their own research, exposing the farce that they are. Unfortunately, this is not happening fast enough and much damage is yet to be inflicted in their dying gasps. As I have stated in previous articles, I believe 2018 is going to see a resurgence in the commodities bull market of the past. We are going to see gold, silver, oil and many other hard assets go up in price significantly as they come back in vogue. This move higher is going to not only be for the many reasons that I have mentioned in the recent past, but additionally because of the increasingly unstable political climate that we find ourselves in. 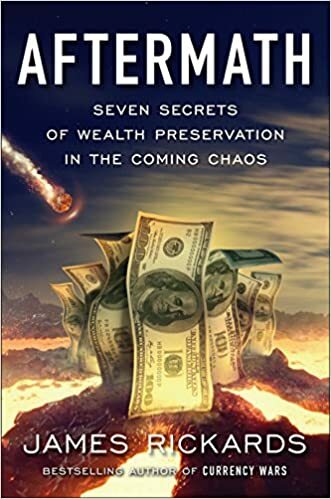 Fund managers and individuals in the know are going to move back into safe haven assets as the world continues to be rocked back and forth, as they attempt to protect their clients' wealth and their own. 2018 is going to be filled with much more turmoil and many more explosive "hit pieces" that are going to continue to push both the left and right further apart from one another, until a breaking point is reached and a snap occurs.